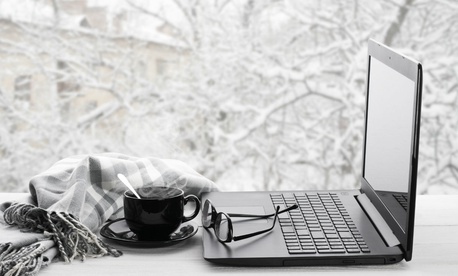 Is OPM's New Weather Policy the 'Natural Progression' of Telework? The Office of Personnel Management’s new policy governing weather and safety leave will bring the handling of snow days for employees who work remotely in line with private sector trends, an observer said. But she warned that in order for the initiative to be successful, agencies will need to be flexible in how they enforce the new rule. The rule, announced earlier this month, establishes that in the event of a weather or safety-related agency office closure, feds with telework agreements that allow them to work from home will be expected to do so. The memo contains exemptions for people who work remotely at a telework site outside the home and recommends agencies use “discretion” in cases when the closure could not be reasonably anticipated or other circumstances, such as a power outage, preclude employees from being able to work. In an email to Government Executive, an OPM spokesperson said an employee with a work-from-home telework agreement would be expected to perform their duties regardless of whether they have already exhausted their available telework hours for a given pay cycle. Brie Reynolds, a senior career specialist with FlexJobs, an online job board for positions that allow for telework, part time positions and other flexible work schedules, said OPM’s rule is “completely in line” with how the private sector has adopted telework. Reynolds described the move as the “natural progression of remote working” as a practice. But she said agencies must be understanding with employees as they move to implement the new policy, and managers should be flexible with workers who unexpectedly must work from home.